Load up with Artix Points using gift cards! Do you have a gift card from a major U.S. retailer that you think you will never use, or it has a leftover balance worth at least $10.00? Now is your chance to exchange that card for something more useful: Artix Points!! New system allows buying them directly from this web site using several forms of payment. Gift certificate includes virtual code to give to friend so that they can redeeem it for Artix Points, to spend on any Artix game upgrade. Save up to 20% using DragonPay! Here are a few more things you might want to check out. A collection of wallpapers made from the art in our games. A collection of minigames that we built. Play Artix Entertainment Games without a browser or the Flash Player plugin! Game Launcher download available for Windows, Mac, and Linux PCs. Imagine your friends are online, battling the newest boss monster in our ever expanding world... now, imagine that you can login and join them from any device, anywhere, at any time! Join us in the creation of our new multi-device 3D, Fantasy, Massively Multiplayer game! You are a powerful mutant beast battling through a terrifying laboratory run by merciless mechanical guards. Defend yourself against endless hordes of robots, lab defenses, and hulking bosses as you claw, bite, blast, and bash your way to freedom! Updated every Friday with new stories, items, quests, monsters and more! Join thousands online and defend the world from Drakath and his 13 Chaos Lords. Team with your friends and take on challenging bosses to get rare rewards! With a storyline that updates weekly, our very first MMO always has something new for you to do, epic loot to collect, and other heroes to battle with... or against! The battle begins with you, Hero, and we are bringing massive amounts of amazing gear to help you dominate your friends... and your foes! Collect equips designed to enhance your combat skills and boost your defenses. Go head-to-head on missions against some of the fiercest challengers Delta V has to offer in 1v1, 2v2, and 2v1 encounters! Save the Orbs, save the world! sized monsters from the back of your dragon, and unleashing rapid-fire attacks with awesome weapons and customizable armors - you ARE the Hero, and the the fate of the world is in your hands! Be the saviour of the Universe! In our very first giant-destructive-war-machine battle game, equip a massive mech and be prepared for the ultimate action... in SPACE! Go on weekly missions to destroy the ShadowScythe on planets all around the galaxy! In a mix of mechs and magic, use every weapon at your disposal, from explosive grenade-launchers to laser-swords to save creation! 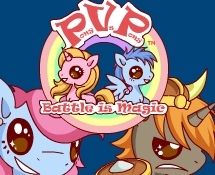 Smash into our newest MMO! Decide whether you are a Hero or a Villain and save the world... or destroy it: quest to save helpless townspeople or terrorize them, rescue defenseless animals or rob banks, and choose between performing good or evil deeds! 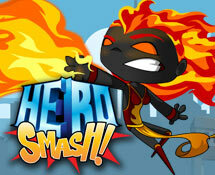 Customize your superpowers, your outfit, and even your secret identity in our super-awesome superhero adventure! Champion the forces of Good! The war is raging for Lore, and the battle depends on YOU! Use your powers of stealth, skill at combat, and mana-blasting magic to challenge the creatures who would take over the planet! With a story that updates each week, massive amounts of gear, and classes that will let you take on the biggest, baddest opponents around, you can spend your lunchbreak saving the world! A unique silicon-based lifeform has been found drifting in the Rennis system! Uncover the origin of this dangerous new creature in this WarpGuardian-Only mission located at Temura in the WarpGuardian Tower! 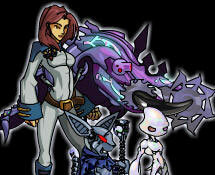 OverSoul features a card game battle system, and it is a multiplayer turn-based strategy game. Explore the world and use battle cards to fight monsters and other players. Winning a battle against a monster will give you a chance to possess it and add it to your collection. Play as any monster in your collection and level it up!